Wanted! Dead or alive! A brilliant customisable wall sticker, perfect for the bedroom of that smooth criminal in your life! Can be customised with the name of whoever you like, while it can also be customised with any more text! 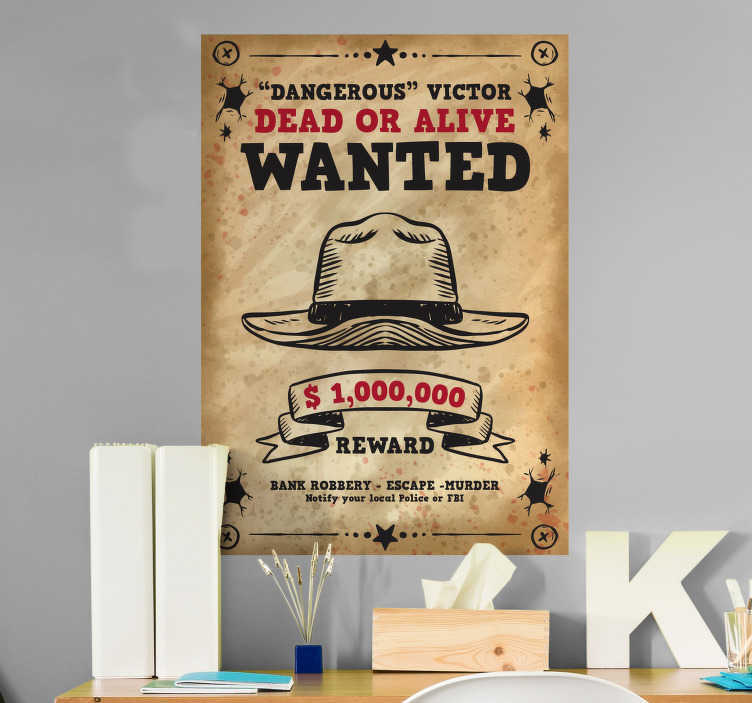 Perfect bedroom decor for those who love the good old days of Buffalo Bill and all his pals and wish to add that theme to their home! Any other customisations can be made on request! Simply email info.ae@tenstickers.com and we will help you out!